Armed Forces Day in Peru (Día de las Fuerzas Armadas del Perú) is celebrated on September 24. It commemorates the creation of the Peruvian Armed Forces in their modern form. The Peruvian Armed Forces comprise Army, Navy, and Air Force. The operate under the Ministry of Defense. The Armed Forces are responsible for safeguarding the independence, sovereignty, and territorial integrity of the Republic of Peru. Their secondary mission is to carry out civil defense tasks and to participate in the country's social and economic development. The number of active personnel in the Peruvian Armed Forces is estimated at above 120,000. There is conscription in the Peruvian military, but it has been turned into a lottery and applies only if/when volunteers do not cover the existing quotas. 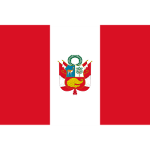 The enlistment age in Peru is 18. Peruvian Armed Forces Day is marked with official ceremonies, receptions, and military parades. The largest celebration is held in the capital city of Lima. It is not a public holiday, so employees are not granted a day off.